Learn about the SATO America WWCL00061T CL408NX High-Performance Thermal Printer. Includes pricing, features, and FAQs. 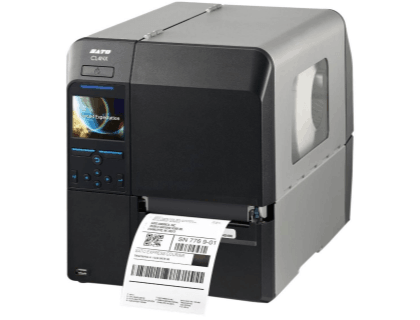 The SATO America WWCL00061T CL408NX High-Performance Thermal Printer is a label printer that features a real-time clock option and other interactive features. The printer also integrates with SAP® Auto-ID Infrastructure. Superior print accuracy and quality. D 17.99" x W 10.66" x H 12.63"
Pros: Easy set-up & maintenance, durable design, emulation support, high-speed processing, superior print quality. Cons: Not portable or wire-free. Bottomline: A high-speed and user-friendly label printer to assist with printing a large volume of labels, tags, and barcodes. 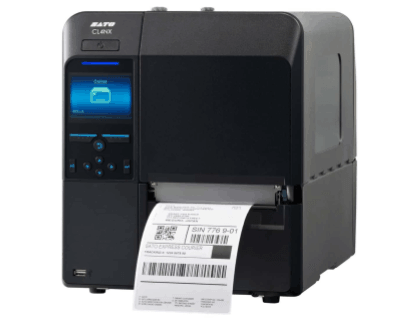 The SATO America WWCL00061T CL408NX High-Performance Thermal Printer retails for $2,690.00. Adjustable Transmissive Sensor for Gap. Adjustable Reflective Sensor for Black Mark. How much onboard memory does the SATO America WWCL00061T CL408NX High-Performance Thermal Printer have? It has 100 MB of onboard memory, allowing for the storage of formats, large graphics, custom fonts, and other downloads. Where can I buy the SATO America WWCL00061T CL408NX High-Performance Thermal Printer? You can buy the SATO America WWCL00061T CL408NX High-Performance Thermal Printer by clicking on the link above, or from sites like Megadepot and Amazon. What are some SATO America WWCL00061T CL408NX High-Performance Thermal Printer alternatives? Testo 0554 0549 IR Thermal Printer. Brady BMP®71 Label Printer 115157. Printek 93184 FieldPro 530 Wi-Fi Version Label Printer w/o Battery.